Featured inside is a fantastic collection of full page dot to dots. Printed at a large 8.5 x 11inch size, this book is perfect for children looking to practice their counting skills and complete the unfinished images. Using your imagination, fill the pages with bursts of colour and doodles to create beautiful pieces of art. 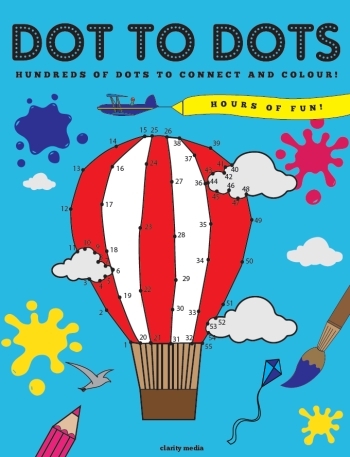 Once connected, the dots will produce a finished line-art illustration with lots of space for colouring in. Puzzles are printed on very high quality paper meaning the pages are perfect for lots of ink.